The Advanced programming features of SPC allows you to define custom outputs which can be used to control almost all elements of the system. The logic is simple an intuitive first choose your conditions when you wish something to happen and then to define what action should be taken. This programming logic referred to in SPC as cause and effect or C&E. Firstly we must consider what you are trying to achieve, so when something happens you want something to happen. 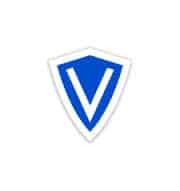 We will first start by defining the conditions this will start the process later we will look at the actions we can take when these conditions are true. 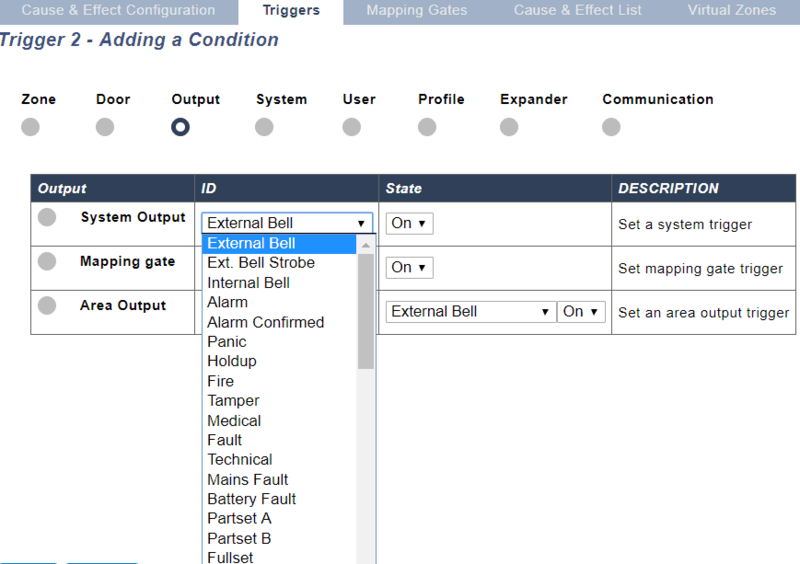 Log into the SPC web page and enter configuration mode, select "Configuration" -> "Advanced" - > "Cause and Effect". This menu will highlight the Cause and effect (C&E) logic in the system. Triggers allow you to define the "When" it will contain the conditions that must be true in order to start the actions you require. 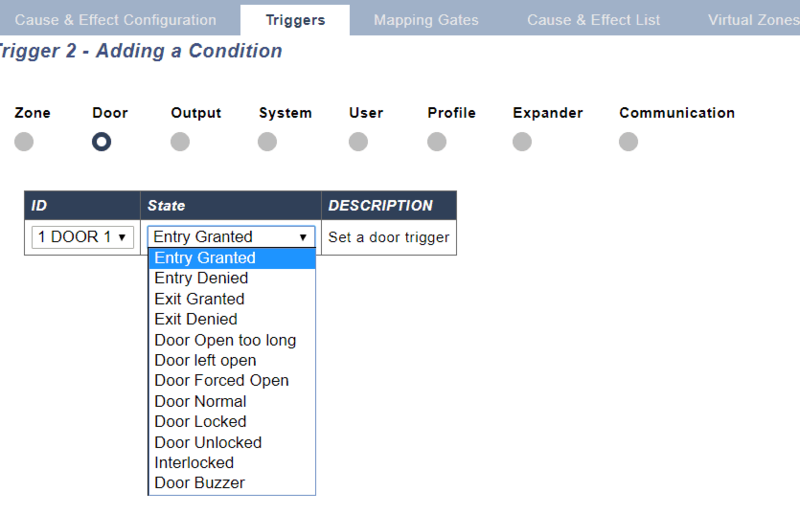 You can add a large number of triggers to SPC and the number of triggers is defined by your system type. 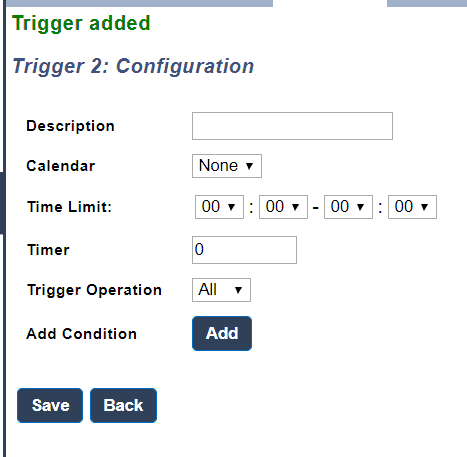 A list of triggers is available in the SPC web page and from this web page you can also add or edit triggers. 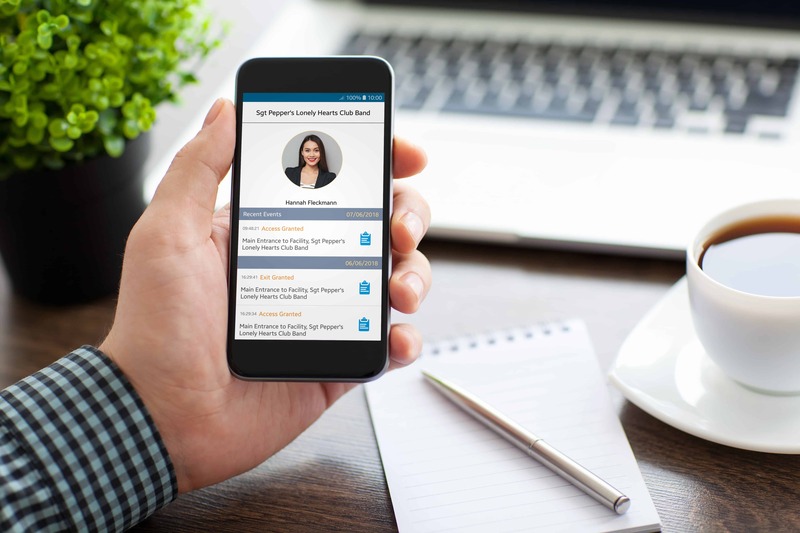 The User conditions cover a wide range of conditions and are used to signal a user is interfacing with the system, you can choose the element the user interfacing with and if you wish you can choose an individual user. 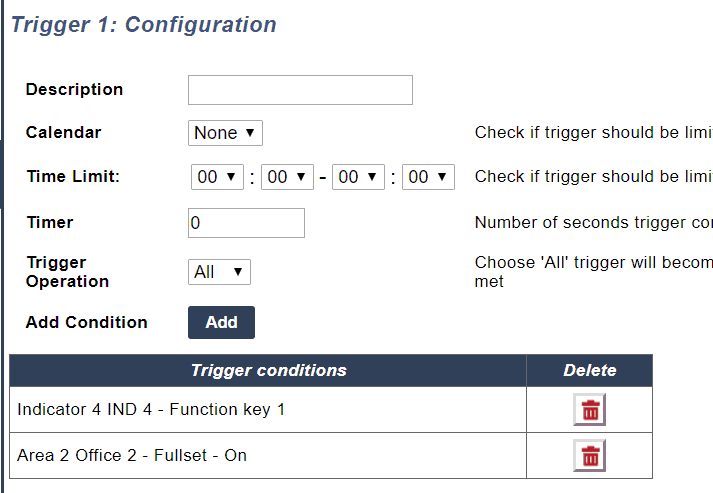 If we wished to perform a function when the function key is press and area 2 is unset we add both conditions to the trigger conditions. 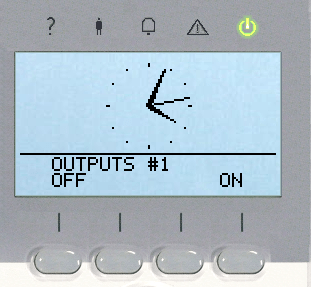 The quick key is activated in IDLE mode so no user pin is required, the user presses the # key followed by the output number selected, the user can then choose to turn on or off the output. 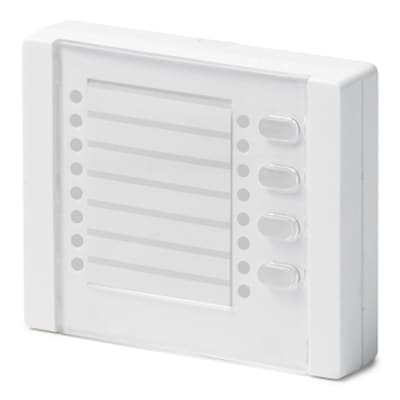 This can be used for lights, garage doors etc. 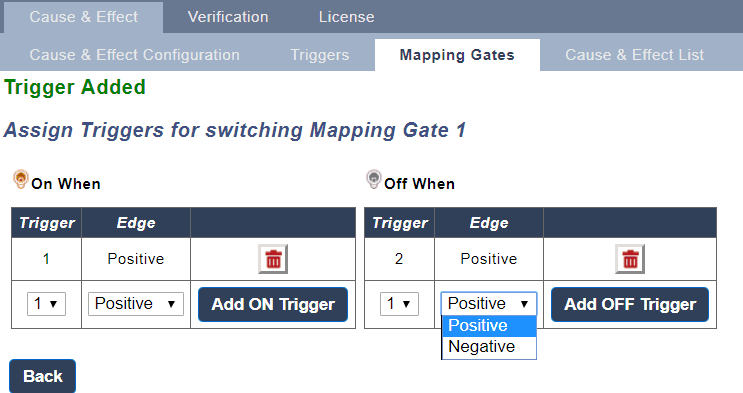 The triggers conditions for a mapping gate define when it should turn on or off, you can define multiple conditions for each.